Pop stars seem to get all the publicity, so it’s cool that CNN finally did a major story about a real inventor and his useful, practical, real-world anti-gravity patent, US Patent #5255452, “Method and Means for Creating Anti-gravity Illusion” by Michael J. Jackson. Heard of him? Apparently this inventor did a little singing and dancing in his spare time. The CNN story is “How Michael Jackson’s tilt defied gravity,” May 22, 2018, CNN.com. It’s a real patent with a useful, practical, and impressive technology that gave him an even bigger competitive advantage that his stage talent alone could provide. 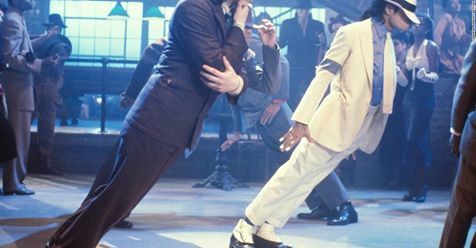 Let’s remember Michael Jackson not just for his incredible talent on the stage, but also for his role as an inventor and patent holder who shared the secret of his breakthrough anti-gravity invention with the world. Michael’s anti-gravity invention reminds us that even seemingly small steps forward in technology can have significant practical effects. In May 2010 I was invited to speak at a conference of WTA (the Wisconsin Telecommunications Association) about innovation lessons for the telecommunications industry from our recently published book, Conquering Innovation Fatigue (John Wiley & Sons, 2009). Here is a condensed version of the presentation. I’ll do another Pixetell soon with some additional content. Can’t help mentioning this: I had a technical problem with the above Pixetell and sent an email to their tech support team. I had a response within minutes. In fact, I had a phone call – the kind that takes real people using real time – and the quickly helped me troubleshoot the problem and get this post working. Wow! Miracles still happen–or at least great customer service. Love Pixetell. Great way to turn PowerPoints or whatever you have on a computer plus your voice into a recorded presentation that you can share with a URL, embed into a blog, or save as a movie. Pixetell is a product of Ontier, Inc.
I’ve condensed my lengthy presentation on the innovation parallels between Singapore and Wisconsin, now resulting in a 17-minute Pixetel presentation freshly recorded. This can be used instead of the longer video recording of my Singapore presentation at Biopolis for Innovation and Enterprise Week 2009. In late 2009, I was invited to speak at Singapore’s Innovation and Enterprise Week 2009, an event held at Biopolis and sponsored by A*STAR, the world-class research organization of the Singaporean government, in collaboration with Exploit Technologies, the tech transfer arm of A*STAR. While I enjoyed the opportunity to discuss our book, the important thing to me was the opportunity to learn more about that amazing country and their bold approach to promoting innovation and technology. In my presentation for the large crowd at Innovation and Enterprise Week, I discussed the fascinating parallels between the Singapore experiment and the evolving experiment in innovation in my state of Wisconsin, where the Wisconsin Institutes for Discovery represent a brilliant approach to combining the best of public and private innovation. Below are three video segments from my presentation. A couple of friends in Singapore took the video. There are a few gaps in sound and so forth, but I hope you can understand it. Don’t miss my lame magic trick in segment 3. They seemed to like it–proof again of the great courtesy that one finds in Singapore. In all seriousness, I think there are important lessons about innovation that can be gleaned by inspecting both the Singaporean system and the Wisconsin Institutes for Discovery, which include the Morgridge Institute for private sector research and the public Wisconsin Institute for Discovery. Madison and Singapore are on opposite sides of the world, but on the same side of the innovation spectrum, at the leading edge. Update: On April 24, I posted a newly recorded and shortened Pixetell presentation covering the basic information I shared in Singapore, without the magic or other excursions. I am deeply grateful to the many people who kindly shared their time to help me prepare for the presentation, including Sangtae Kim, John Wiley, Charles Hoslett, Carl Gulbrandsen and Janet Kelly from the Wisconsin side (Wisconsin Institutes for Discovery and WARF), plus Boon Swan Foo, Seito Wei Peng, and Sze Tiam Lin at Exploit Technologies in Singapore. At Innovationedge, we enjoy spotting incipient innovation success, and work to coach our clients on how to turn their products and services into more successful innovations. We have seen that many innovation failures begin with clever people looking for problems to solve with their cool technology. Some of the best innovation successes begin, on the other hand, by understanding what jobs users really need or want to do, and then providing solutions that make life better. The essence of disruptive innovation success often comes when these solutions are more convenient, less expensive, and more accessible than existing solutions in the marketplace, as Clayton Christensen has documented. Based on what I can see as a new user, I believe that the Pixetell screen recording and information sharing system is an example of an early stage disruptive innovation in progress. For quite some time I’ve struggled to find a convenient way to make videos of PowerPoint presentations. I tried a popular commercial screen recording system and found it to be expensive, difficult to use, and so resource intensive that I gave up and removed it from my computer. I tried some other lower cost screen recording systems but found the limitations in features and the quality of the service to be inadequate. Then I ran into Pixetell, and have been surprised in several ways at what it does. I’ve also been surprised at the level of support provided by the start-up company. They’ve won me over and gained enough interest that I reached out to them and asked about their story. How did their founded, Sebastian Rapport, get started with this? Here’s what I found out, courtesy of Dan Cook, Manager of Content at Ontiier, the company providing Pixetell. Pixetell traces its roots to 2007. It really grew out of necessity. There were a couple of catalysts. Sebastian’s wife, Gabrielle, was working with a team of web designers and struggling to communicate design changes to them in text and email. She would not get back what she was looking for. So Sebastian set to work on the problem. He showed her how to capture her screen, draw some circles and arrows on it, and share the result with the designers. That was fairly effective for her. Sebastian continued to enhance that initial product. Additionally, at about the same time, he was working with a group of off-shore folks and they were supposed to be on Sebastian’s clock. The reality was, he was oftentimes up from 9 p.m. till 2 a.m. to talk through designs, architectures and so on. He realized that what was needed was a more effective way to communicate visually rich information that was disconnected from time (asynchronous is the word we use). This solution, combined with the work he was doing on behalf of his wife’s business, came together as a single rich communications product. Once again, necessity proved to be the mother of invention. As Sebastian pursued what would eventually become Pixetell, he began to gather more input from people who saw new and different applications for such a product. A small team of software engineers gathered in Portland to move the project forward. In March 2009, the concept received rave reviews at Demo ’09, a conference where entrepreneurs can demonstrate “how their product will change the world,” according to Demo’s web site. With that additional impetus, Sebastian and his team have raced ahead to put Pixetell into the highly competitive position it now enjoys in the market for visual communications software. Sebastian’s closeness to the needs of real users helped him identify a huge unmet need and offer a convenient solution. Part of what makes it so convenient is the speed at which you can set up a recording, make it, and share it. It can include what you do on your screen as well as what your webcam sees. A compact recording is quickly uploaded to a server and is then ready to be shared with others by simply sending them a hyperlink. Compare this to my experience in using movie-editing software to record a simple presentation. Saving a 20-minute presentation in a movie format can take over 20 minutes, and then you have a massive file that needs to be converted to YouTube or uploaded to a server. Pixetell takes away that pain. In moments, I can answer an email with a recording showing someone how to do something such as a patent search and send it right to them. Or I can record a PowerPoint presentation with very little time from the end of the presentation to the time that it is up for others to see. Part of the convenience and flexibility of Pixetell is that the recording can be shared via email or embedded directly on a webpage or blog, as I’ve done here. it can also be saved as a flash video file directly on your computer, so you are not dependent on Pixetell always being in business. Piexetell files can also be edited. You can split the recording into multiple clips, delete unwanted ones and record new ones in between. That’s a lot of power. It’s a tool that stays active and ready to use whenever you want to make a recording – no lengthy waits for bulky software packages to load. Swift, easy, and convenient. I’m predicting this will be a winner that force some big companies to flee upstream by focusing on advanced features while Pixetell gets a foothold. They have some patent applications filed which may be important in the future. Time will tell if they can adequately protect their intellectual property, which often becomes one of the key factors for success later on. What innovations do I see coming next for Pixetell? There are already some pretty advanced features, including the ability to attach files to Pixetells and have multiperson conversations. While there is a risk that a start-up will fall into the temptation of adding too many features at the expense of focusing on marketing and delivering the simple, convenient core that gives it disruptive potential, there are also opportunities for some simple audio enhancement such as filters to make recordings sound better or take out some noise, or adding the ability to capture system sounds rather than relying on microphones alone. But I think the most exciting future innovations with Pixetell might come from collaboration with other partners and industries. What could Pixetell do to help health care workers, customer service providers, retailers and Ebay merchants, or primary and secondary educators? What will Amazon reviews look like when reviews start adding Pixetells to their work? What synergies could be found with Skype, Ebay, Flickr, Hollrr, Google Earth, and the hottest social networking tools? How will Pixetell interact with smart phones? So many possibilities–some of which would be distractions at this point for Pixetell, but rich opportunities for the right minds with the right business models. This will be an interesting experiment to watch. Below is a Pixetell recording to share some new information about the economic revolution in Brasília, Brazil, wherein a government in tune with the “voice of the innovator” has worked to get out of the way of business success and to do provide the infrastructure and educational opportunities needed for long-term success. Amazingly, the local government there has had the courage to do more than talk about being efficient and cost-effective, but has actually gone through the painful process of “debureaucratization,” reducing bureaucratic jobs by 20% and the number of government agencies at the state level by 59%. The results of this experiment over the past four years have been dramatic and are paving the way for further innovation and increased quality of life. Special thanks to Adriano Amaral, Secretary of State for the State Department of Economic Development in Brasília for meeting with me and sharing his insights and experiences. Like many of the leaders in Brasília, Adriano is not a career politician, but an experienced business leader who has led successful startups, stepped in to bring struggling businesses to life, advised large and small companies, and taught some of the best MBA students in the world. The success of the Federal District of Brasília demands further attention, and will be covered in our next book. We continue to look for further experts to interview as we explore the many stories and lessons from this region and from Brazil in general. Let us know if you have experiences and expertise to share! Email me at jlindsay at innovationedge.com, or use the contact page on this blog. The Pixetell below is set to 640 x 480 pixels). To see the full-sized presentation in higher resolution, click on the full-screen icon in the lower right-hand corner, or to view this in a new window, use this Pixetell link. Pixetell, by the way, is an incredibly easy and extremely innovative tool for sharing information from your computer. Related resources include the Brazilian Studies Association, AboutBrasilia.com, and CETEB.